The Civil Parish of Crookham Village is located within the boundaries of Hart District and Hampshire County councils. 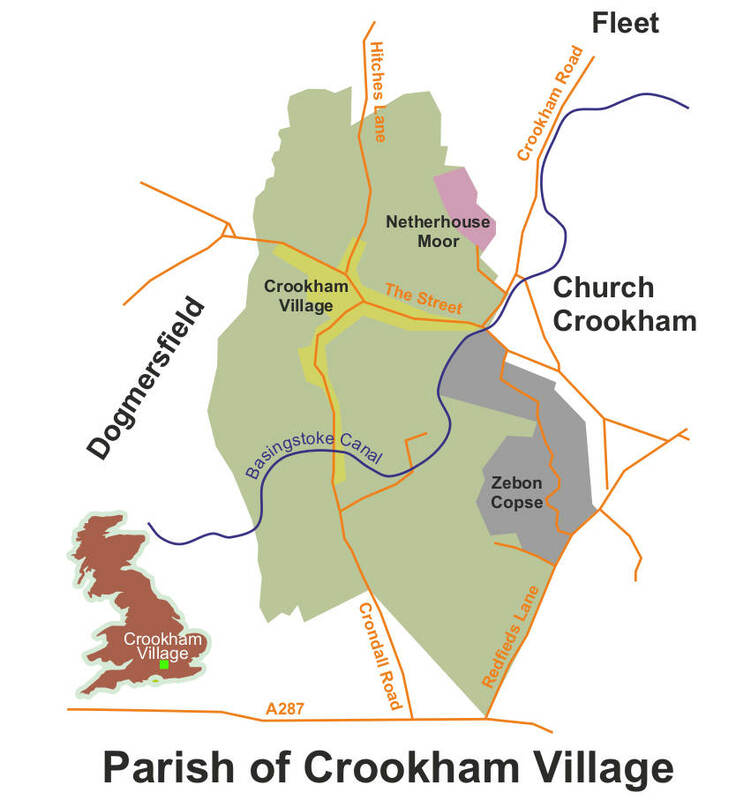 When created in 1953, the parish encompassed the village of Crookham Village and surrounding farmland. Subsequently, the estates of Zebon Copse and Netherhouse Moor were built and, as a result, the population of the parish has now increased to something over 1700 households. A further 300 houses are due to be built between Watery Lane and St Nicholas’ School off Redfields Lane following a successful appeal by Martin Grant Homes in April 2015; this development is also due to provide a roundabout from a re-aligned Redfields Lane onto the A287 and to create a country park between the canal and the edge of the new development. And permission has now also been granted at appeal for a further 423 dwellings on Land North of Netherhouse Moor off Hitches Lane. The parish therefore includes both rural and urban areas, each with different requirements and aspirations on many topics, which makes the activities of the parish council both varied and significant. Small businesses are located at Grove Farm and The Kilns within the old village with further light industrial areas and a garden centre immediately adjacent to the parish along Redfields Lane. Within the village there is a general store/post office/tea rooms, a Social Club and two gastro pubs – The Spice Merchant in The Street and The Exchequer on Crondall Road not far from the canal. A Spar mini-supermarket, dentist and hairdresser can be found with Zebon Copse Estate at Frenchmans Creek. Further shopping and social facilities are available in Fleet town centre, approximately 1-1.5 miles away, whilst the Hart Leisure Centre on Hitches Lane lies just north of the parish boundary. The parish is roughly bisected by the Basingstoke Canal, which separates Netherhouse Moor and the Old Village from Zebon Copse. The canal is a Site of Special Scientific Interest (SSSI) and is protected by a Conservation Area, as are parts of the old village. 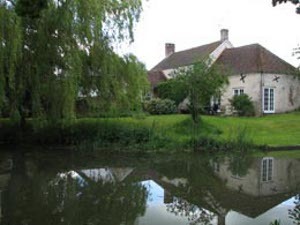 An extensive network of public footpaths plus the canal towpath and paths within the ancient woodland of Zebon Copse itself provide plenty of opportunity for walking and enjoying the local countryside and wildlife.